More than 3 million people in the United States suffer with anemia. Most of these are women and people with chronic diseases. Read on as Marla Ahlgrimm answers common questions about the condition, including its causes and treatment. 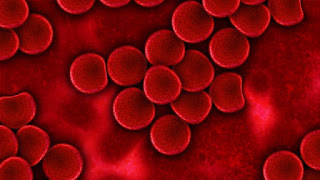 Marla Ahlgrimm: People who are anemic do not have the right balance of red blood cells or their red blood cells do not contain adequate amounts of the protein hemoglobin. Either of these causes means the body does not get enough oxygen to the organs and tissues. Q: What are the causes and types of anemia? Marla Ahlgrimm: Anemia is triggered when blood cells break down faster than they can be replaced or the body has issues producing red blood cells. Women may experience anemia during heavy menstrual cycles. The most common form of anemia is iron-deficiency anemia. Iron is vital in the production of hemoglobin. Low levels of folate or Vitamin B12 may also trigger megaloblastic, or iron-deficiency, anemia. Sometimes, diseases may affect the body’s ability to produce red blood cells. In this case, anemia is considered a secondary condition. Anemia may also be caused by sickle-cell anemia, aplastic anemia, or thalassemia, all inherited blood diseases. Q: What are the symptoms of anemia? Marla Ahlgrimm: Anemia is characterized by fatigue and overall weakness. Headache, dizziness, and rapid or irregular heartbeat are all common. Sometimes, suffers will experienced chest pain and shortness of breath along with numbness in the hands and feet. Children, especially, may present with headaches and pale, pallid skin. Anemia can cause irritability and create difficulties focusing on work or school. Q: How is anemia diagnosed and treated? Marla Ahlgrimm: A doctor will perform a complete blood count and a full physical examination. Some types of anemia may be treated by consuming a diet high in iron. Oysters, beans, leafy green vegetables, lean red meat, and dried fruits are excellent sources of iron and may be consumed alongside broccoli and other Vitamin C-rich fruits and vegetables, which help the body absorb iron. Iron and/or Vitamin B12 supplements may be prescribed.